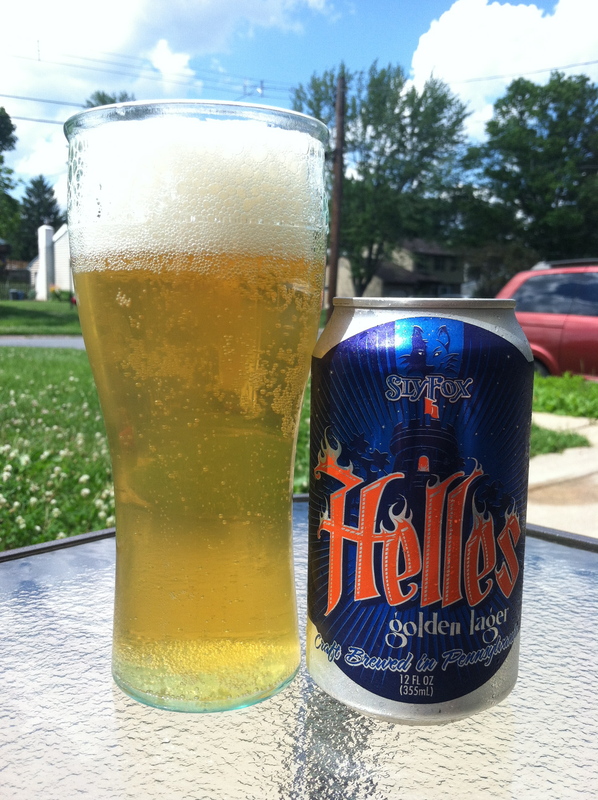 Helles Golden Lager poured from the can. Beautiful. Beer in the can. Years ago, this statement would bring thoughts of cheap, metallic-tasting beer to mind. Canned beer has gone through many changes and Slyfox has revolutionized the can. Gone is the pull tab. Gone is the pop top. Slyfox has introduced the 360 degree top with their Helles Golden Lager. 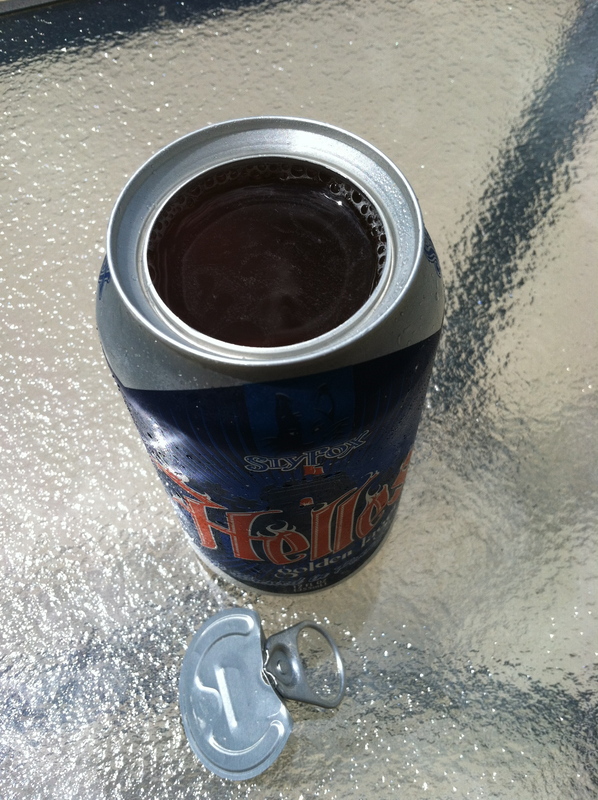 This can allows for the beer to be enjoyed in the can and you are able to see your beer, smell you beer and drink from the can as if from a glass. 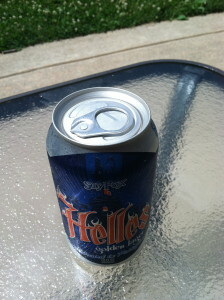 The top of the can of Helles Golden Lager. For this tasting, I poured it into a glass so you are able to see the color of this brew. The head is large, fizzy and white in color. It dissipates slowly and has a medium carbonation. It has a beautiful golden color and a very clear body clarity. The aroma of this brew is a spiciness from the hops with slight citrus and pine notes. The malt contributes a sweetness from the German Pils malt that also lends biscuit and cereal flavors. This beer is balanced with a slight bitterness from the hops and is clean and refreshing through out. 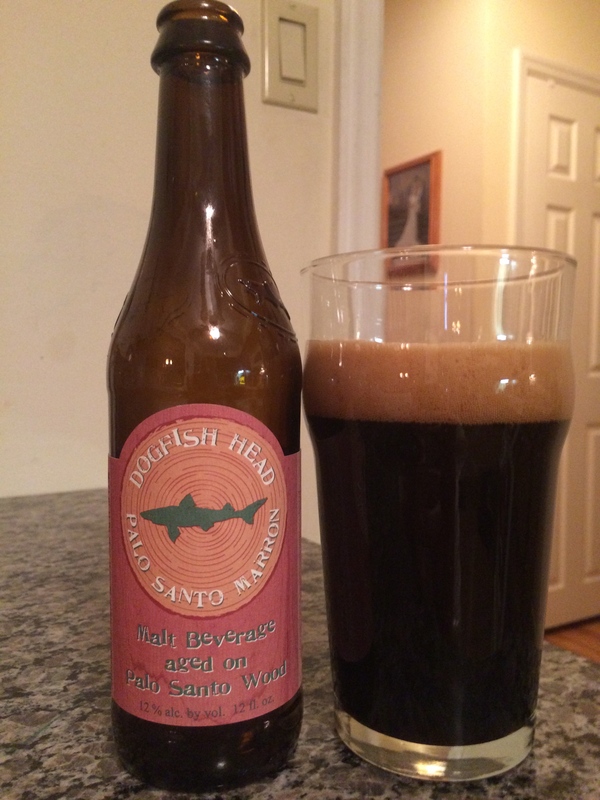 It is a light bodied beer that offers a nice change of pace from your pale ales and IPA’s. Here is the view of the 360 degree top exposing the beer within. 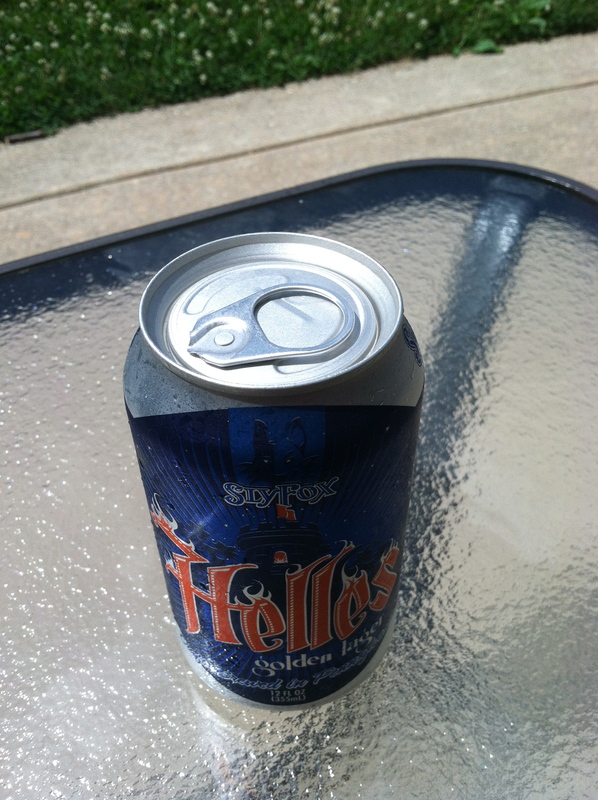 I have also had this beer from the can and it tastes great. There is no metallic taste or off-flavors given off from the can. It is odd to drink beer from a can that does not have a top. It truly is a revolutionary way of enjoying beer from the can. This beer may look light but the flavor is there. I recommend buying a case of this beer if you are able to.